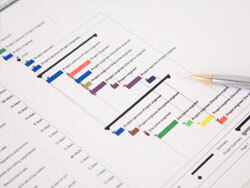 Keycare's clients recognize and value our meticulous and detailed project management approach. Keycare's knowledge and experience allows for a single minded purpose in meeting all of our clients’ goals in the most cost efficient manner and without sacrificing any client objectives. Ensures priorities are strategically based - ability to effectively link operational initiatives to strategic priorities. Analytical problem solver with the ability to resolve complex issues and develop realistic solutions. Ability to demonstrate an effective understanding of key stakeholder structure and processes. Capable of using industry best practices, while being an innovative leader with the ability to adapt and respond creatively in a fast changing environment. Decision maker with the ability to make quick decisions in a complex environment. Demonstrated ability to build a strong team and foster and support a collaborative working culture. Has an open communication style and encourages goal achievement, coaches and monitors performance. Strong facilitation skills - influencer with the ability to achieve a positive impact on decisions and actions. Builds and sustains effective working relationships and deals well with various 'political' sensitivities. Deals with conflict positively and supports others to resolve differences. Experience managing multiple, concurrent projects. Develop and issue necessary requests for proposals delineating the scope of work required and parameters of the project. Negotiate contract terms and conditions. Establish detailed cost and quality guidelines. Establish detailed project schedules and communication protocol. Monitor performance and contractual obligations, and aggressively control fees and change requests. Monitor performance, evaluate quality and ensure appropriate coordination between all parties. Control project costs and expenditures. Project status and budget reports. Our total commitment to excellence compels us to go above and beyond the specifics of the contract to ensure that the Client is completely satisfied with our performance. We commit to our Clients that we will strive to complete their project to their best interests. Keycare's Project Management service provides the comprehensive management for all aspects of a project, from conception through design to planning and execution. The primary objectives are to plan,co-ordinate and control, through the application of sound management techniques, throughout all aspects of the project, and to produce the desired outcome within the set out specifications, schedule and budget. View the "Related Documents" at the top right of this page to download the Project Management Phases with Key Performance Indicators utilized by Keycare, and Requirements and a Keycare Project Management Contract.